14k gold custom made stud earrings consisting of 2 round shape, natural diamonds , weighing 1.16 - 1.24 carats (cttw). The stones color and clarity ranging I-J and VS2-SI1 respectively, according to GIA grading scale. 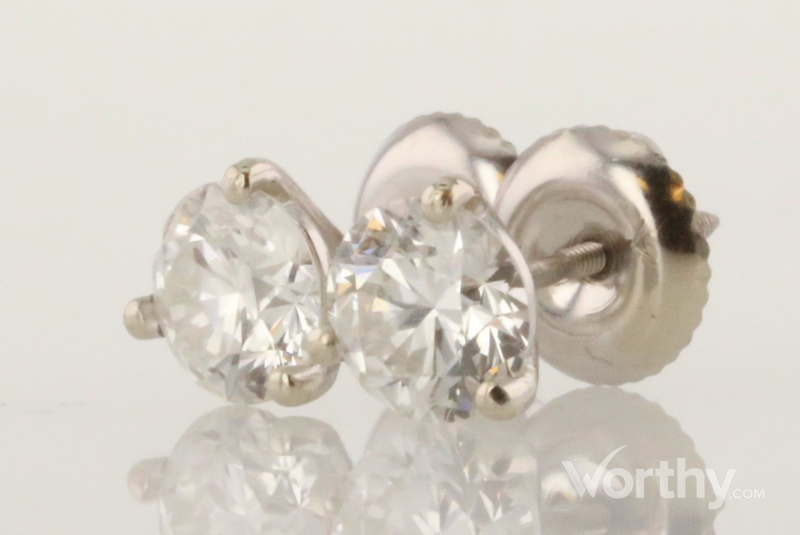 Ladies 14 kt white gold 3 prong solitaire Martini style solitaire earrings with a screw post and back. Each earring is 3 prong set with one full cut round diamond.